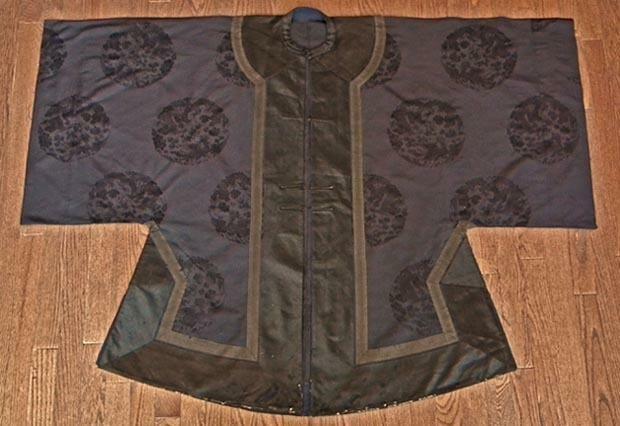 Antique 19th century Chinese Qing Dynasty Robe-Coat. 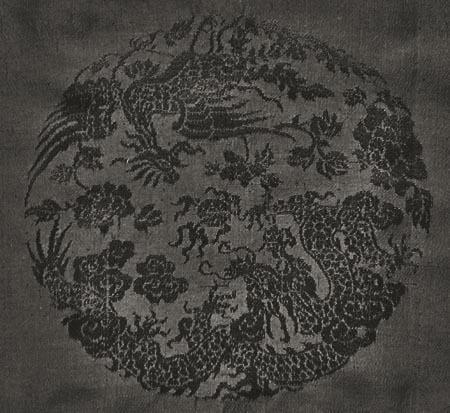 A dark navy blue silk, gauzily woven, with numerous round medallions each enclosing a sinuous, five-clawed, horned ascending dragon and a descending phoenix in flight, amidst clouds, contesting a flaming pearl. 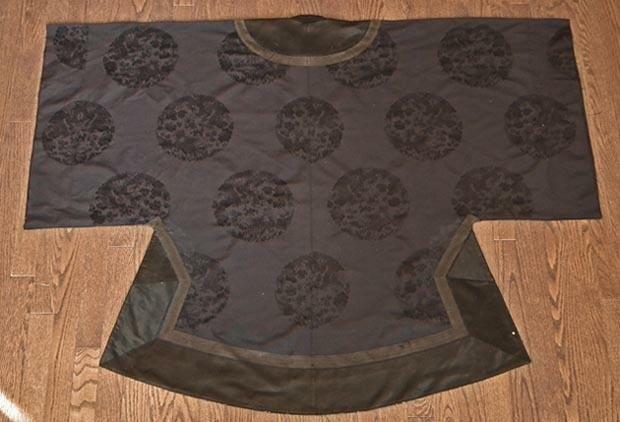 The coat is bordered by black Satin silk panels and trimmed with finely woven black silk ribbon. (7) "When Silk Was Gold" by James C.Y Watt & Anne Wardwell. DIMENSIONS: Approximately when placed flat: Length: 102 cm (40 1/8 in), Width (distance from cuff-to-cuff): 140 cm (55 1/8 in). 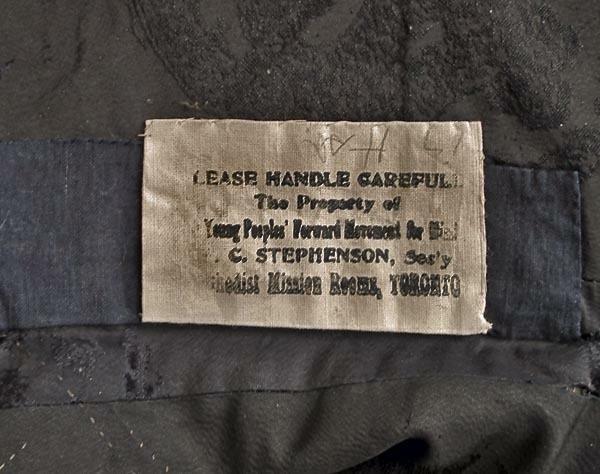 CONDITION: The Coat generally is in good condition considering its age, and the material from which it is made. 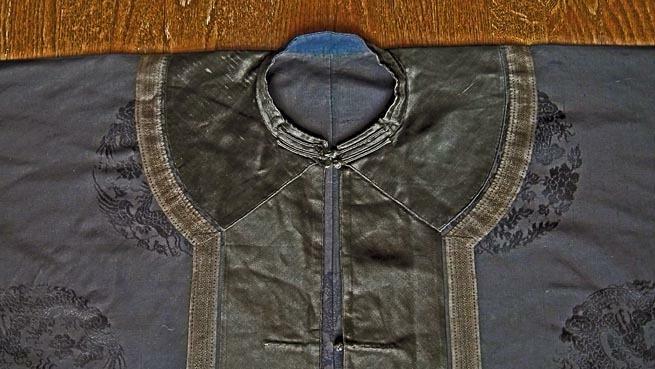 Showing the age and usage with worn and tears on the edges of the bordered Satin silk panels and ribbon, however, this can be professionally repaired. We do not perform any repairs or restorations on our antiques. There are no holes or applied patches. Please note that this is an antique, over 100 year old, textile, which was well used, so a perfect condition cannot be expected. This coat comes from an old Canadian collection of Oriental Art, including many Chinese robes and related items which we are in the process of photographing and placing for sale for the first time. 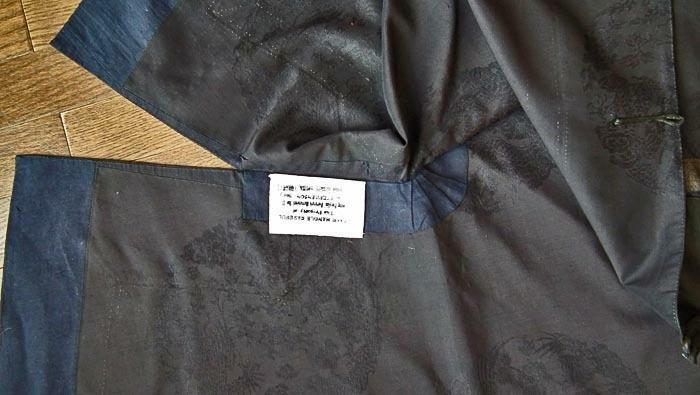 Due to the fact that the market is flooded by reproductions of Chinese costumes and vintage theatrical costumes which for inexperienced collectors look the same, we would like to inform our clients that this is a 100% authentic antique, over 100 years old, Chinese Qing Dynasty coat and not a reproduction, and is accompanied by a Certificate of Authenticity. 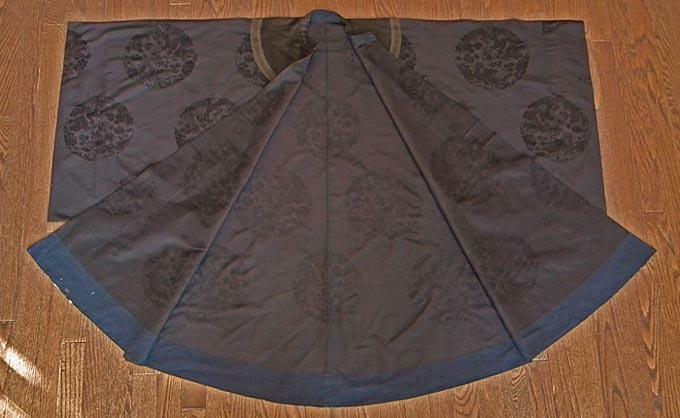 Items Similar To "Antique Chinese Qing Dynasty Robe Navy Blue Silk with Dragon & Ph..."